This is small, delicate looking butterfly. The male has bright blue upper sides and the female is primarily brown, with a highly variable amount of blue. 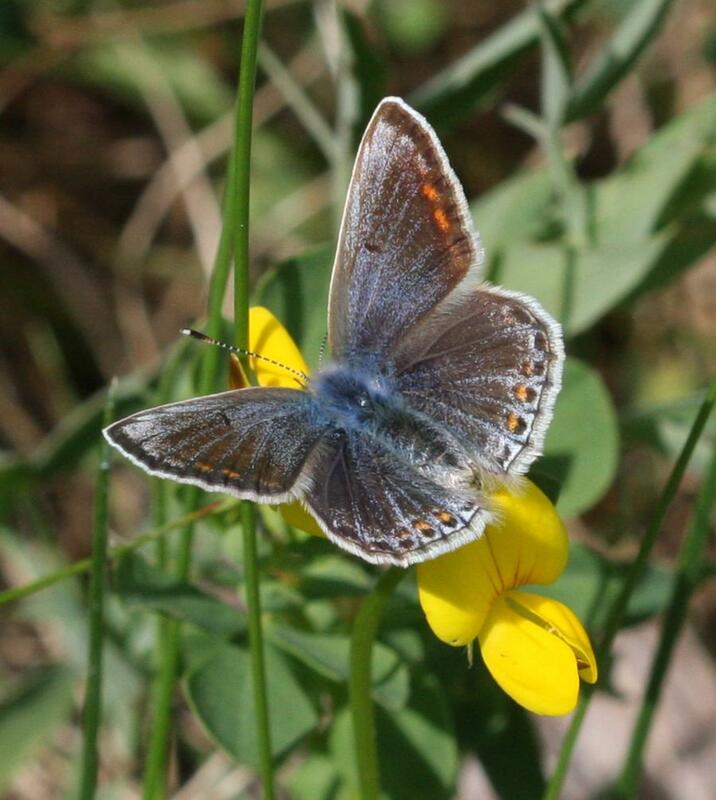 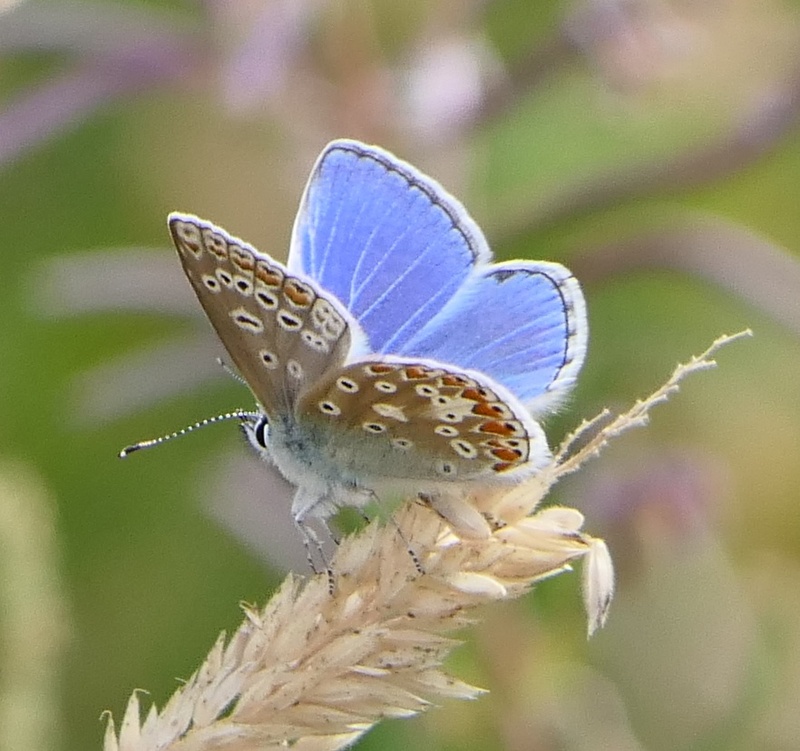 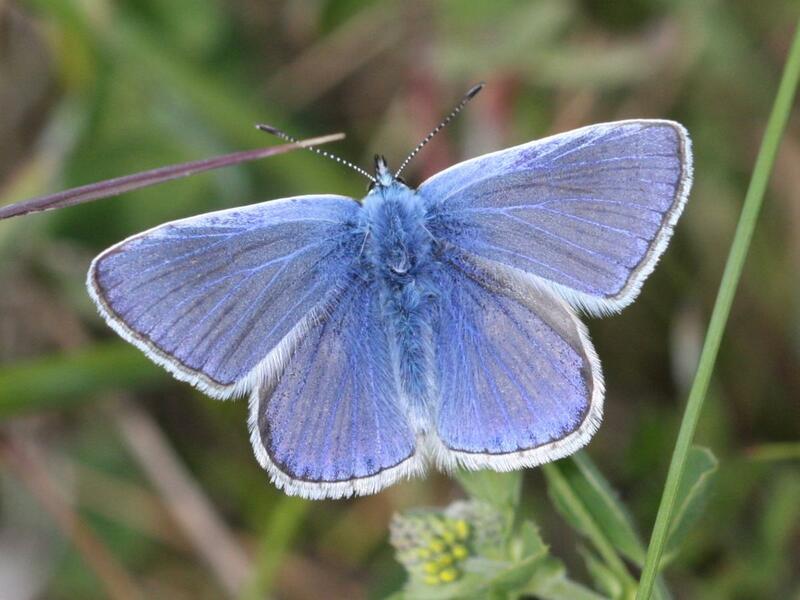 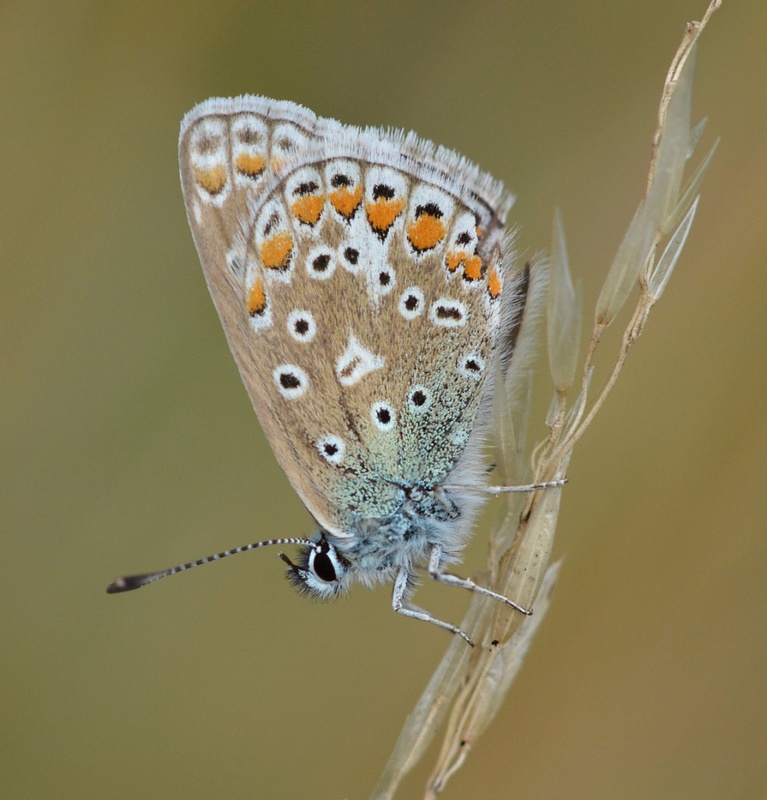 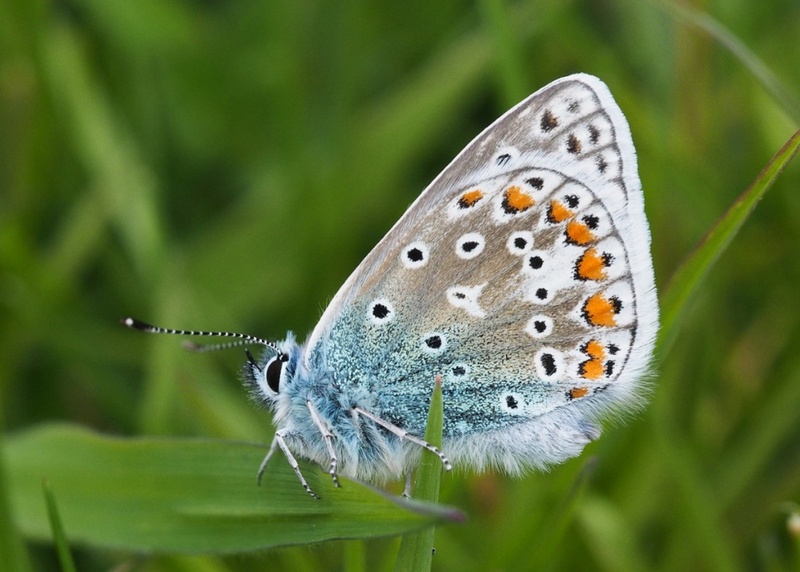 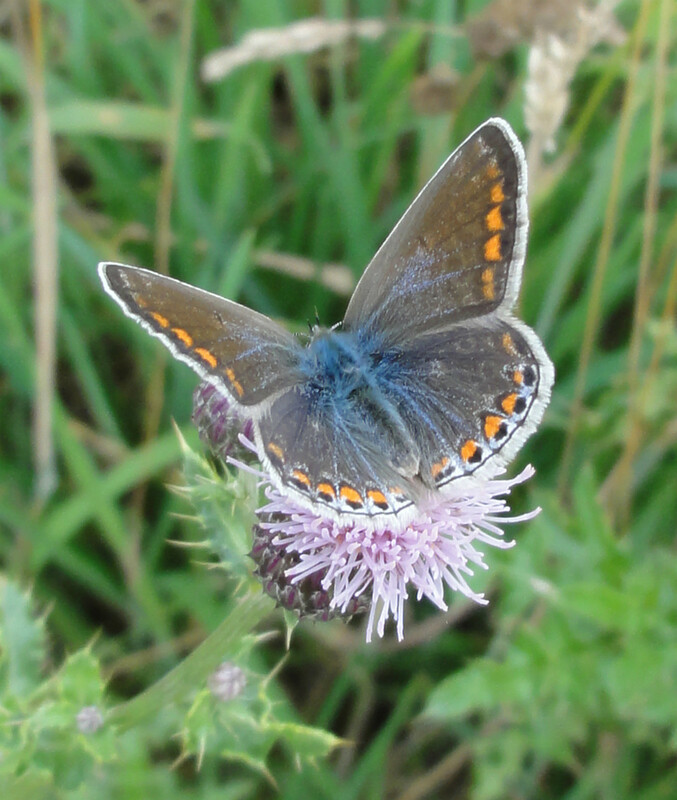 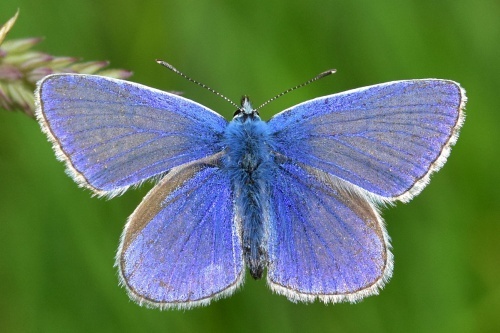 In Leicestershire and Rutland, the male Common Blue is unlikely to be confused with any other but the female can be mistaken for a Brown Argus. 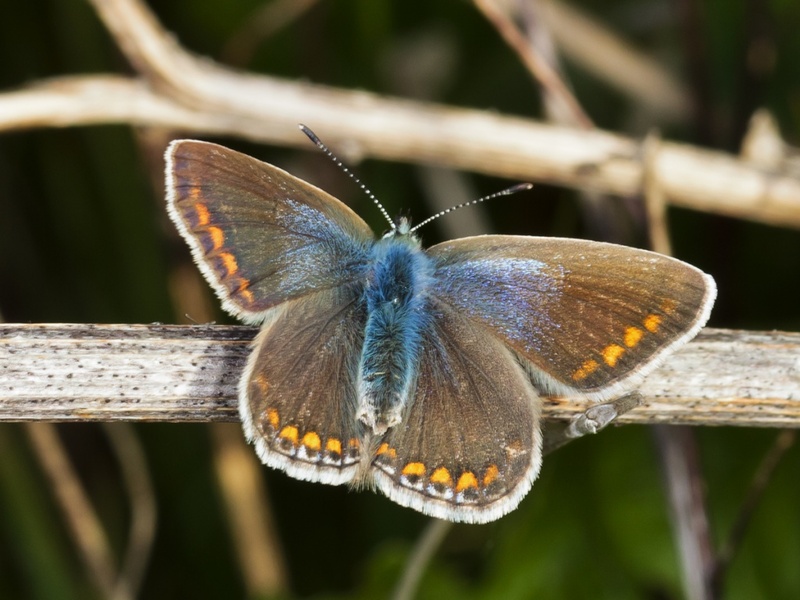 However the Brown Argus has no blue scales on its wings, has a regular border of orange dots and usually has a dark spot in the centre of the upper wings. On the underside, the Brown Argus has two spots that are so close they often appear as figure of 8, whilst in the Common Blue these are more widely spaced. This species is found in a wide variety of habitats, including unimproved grassland such as roadside verges and waste ground, downland, woodland clearings, heathland and even sand dunes. 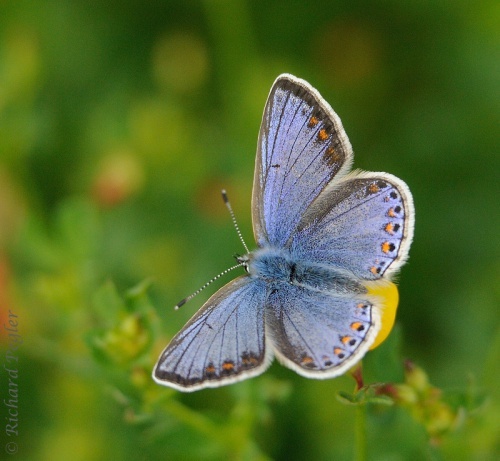 This species has two broods in the southern counties of England and one brood further north. There may be a third brood in favourable years. Time of emergence is highly variable. In good years, adults may be seen as early as the middle of May on more southerly sites. 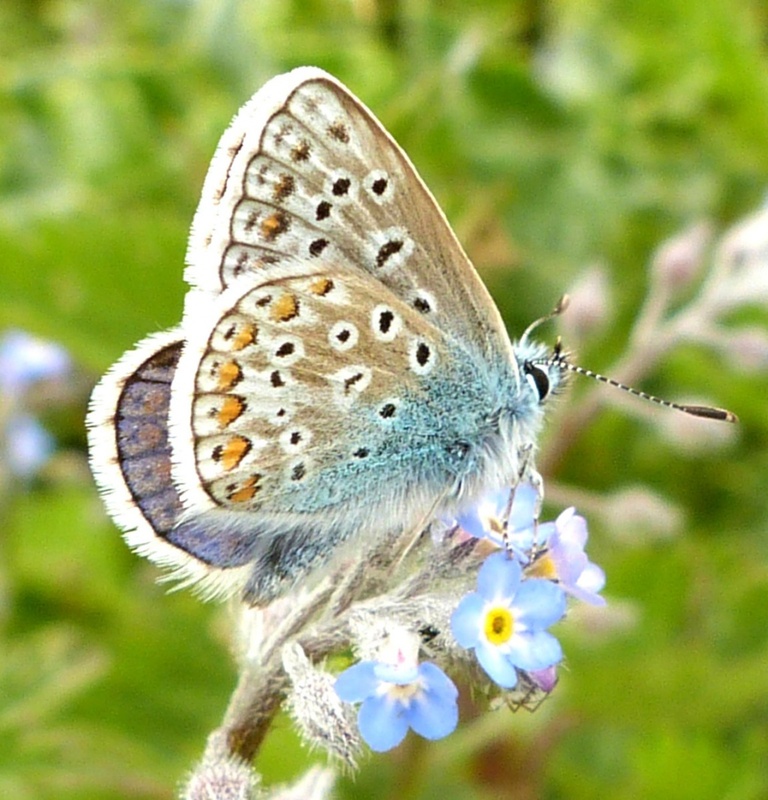 These peak at the end of May, giving rise to a second generation that emerges in the second half of July, peaking in the middle of August. 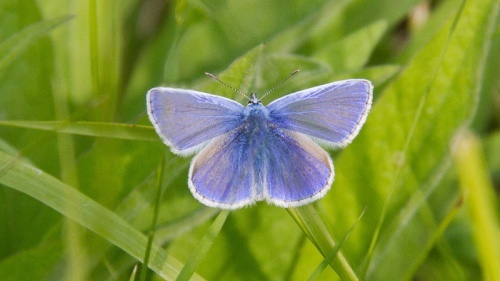 Colonies in northern England and Scotland typically have a single brood that emerges in June, reaching a peak in July. This is the most widespread Lycaenid found in the British Isles and can be found almost anywhere, including The Orkneys. It is absent, however, from the northern Shetlands and the mountainous areas of Wales and Scotland. 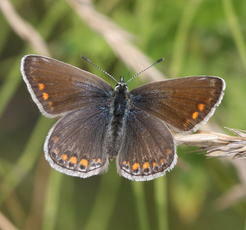 Common in Leicestershire and Rutland in those areas where foodplant is present. 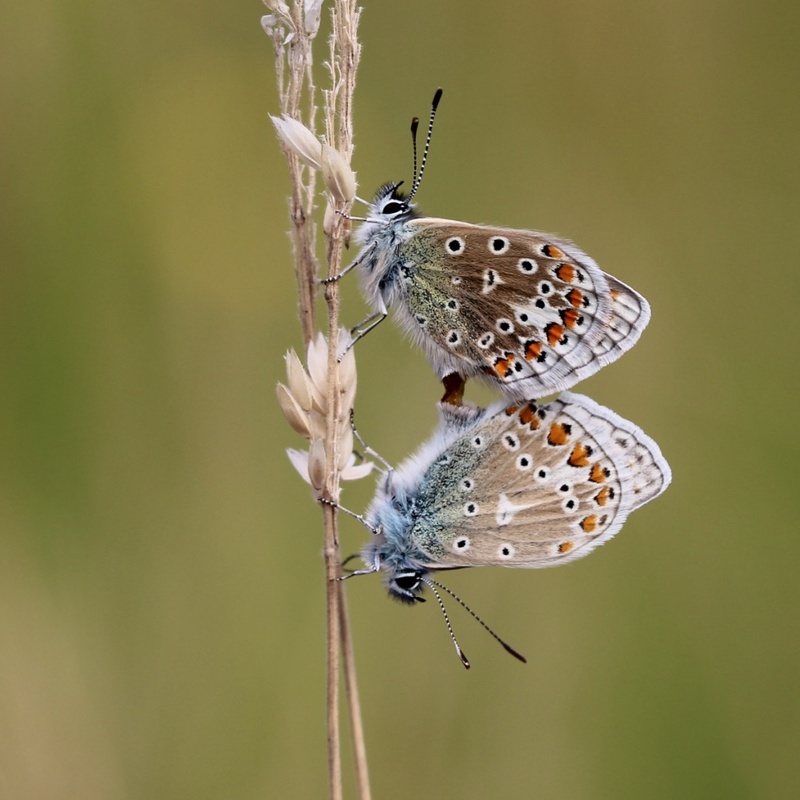 Common blues mating at Wash Brook Reserve.